One of the most used ropes for many different purposes, 3-strand twisted nylon rope is known for its elasticity and tremendous shock absorbing qualities. 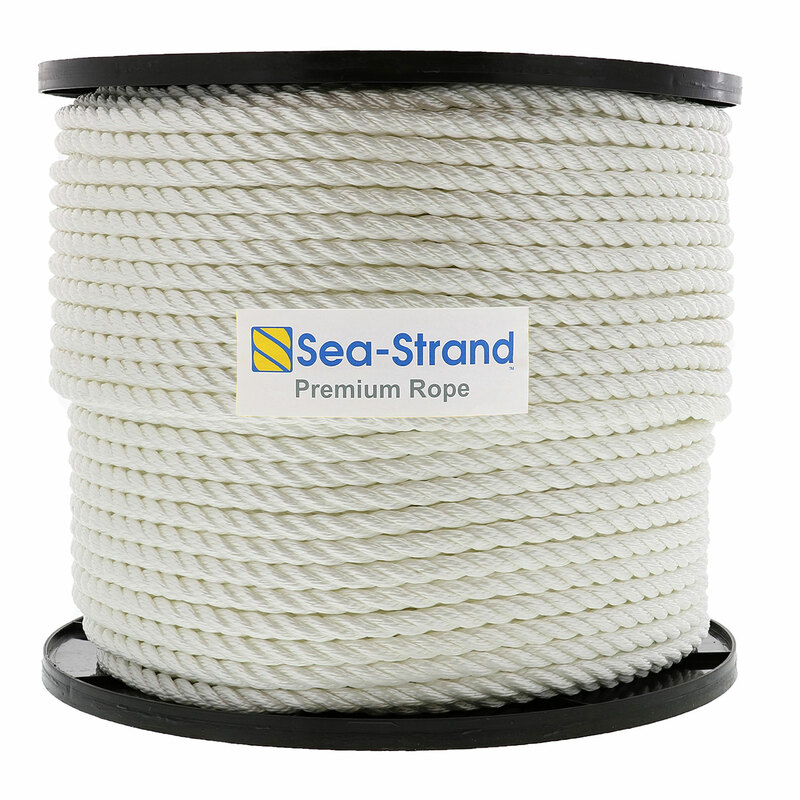 This makes it an excellent choice for boat anchor lines and tie-up lines. Other advantages of this rope include good abrasion resistance, will not rot and is also resistant to oil, gasoline and most chemicals. UV rays affect this rope very little as well. The rope E-Rigging offers does have some polyester fibers blended into it and this blend has the same strength characteristics of much higher priced pure nylon rope. One thing to keep in mind when using nylon rope is its ability to stretch and the dangerous aspect of this in the event it breaks. Nylon rope will stretch like a rubber band and though this is great for shock absorbsion, when broken, it will recoil with a great amount of stored energy and will travel back directly in the path of pull.